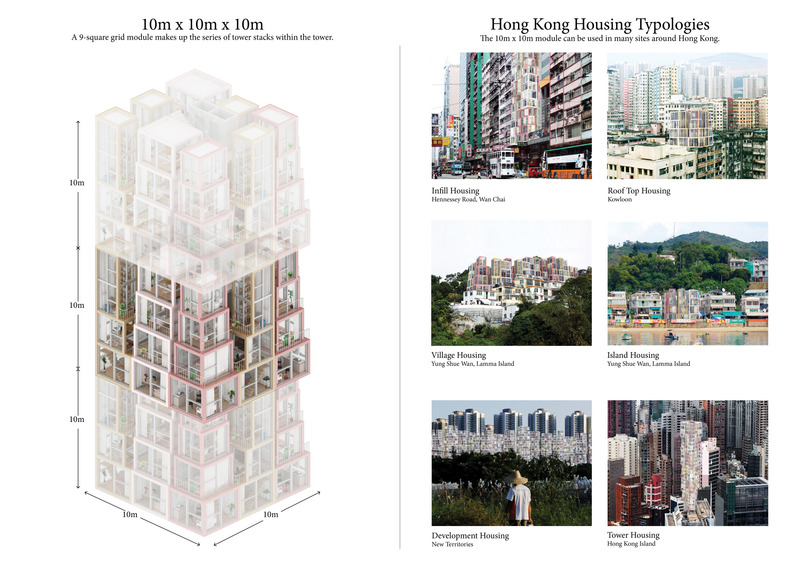 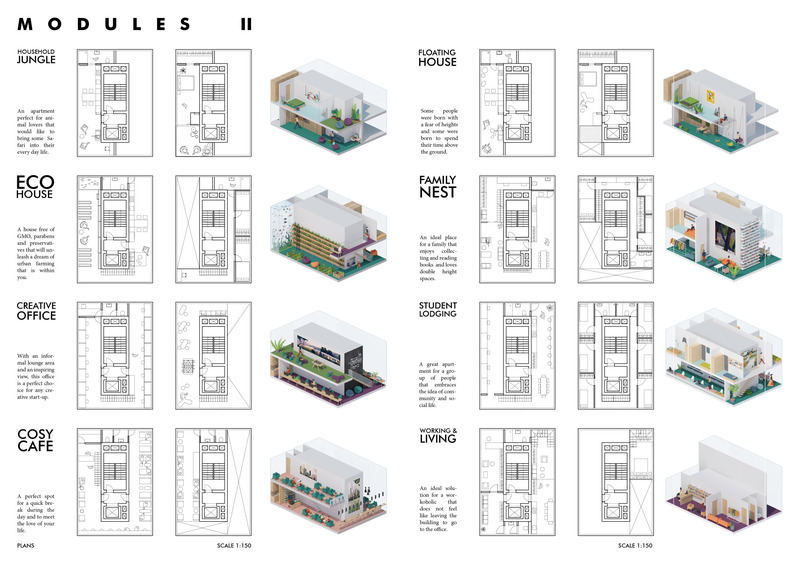 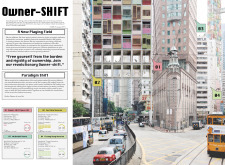 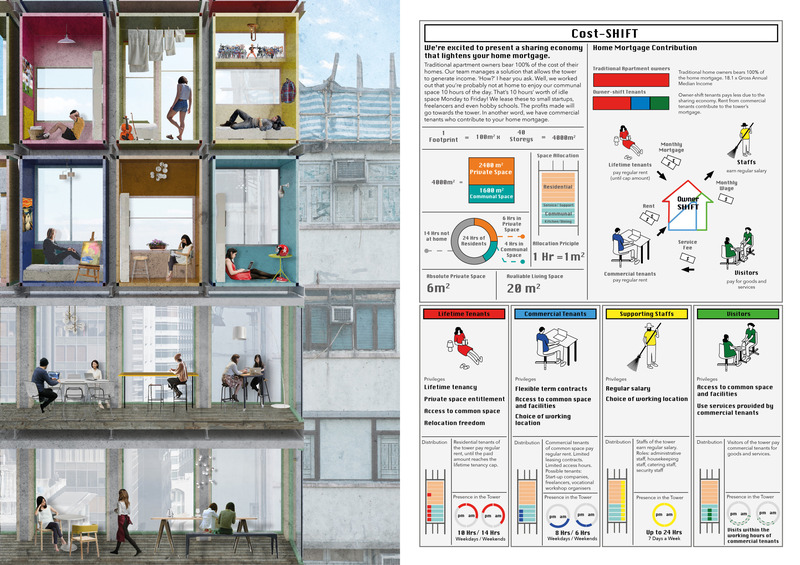 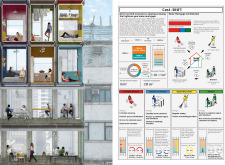 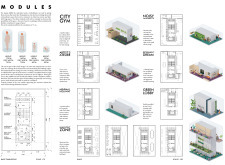 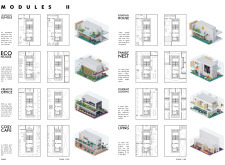 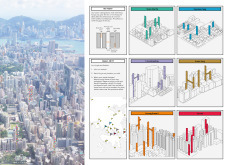 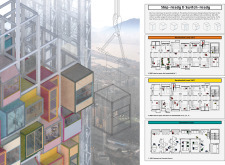 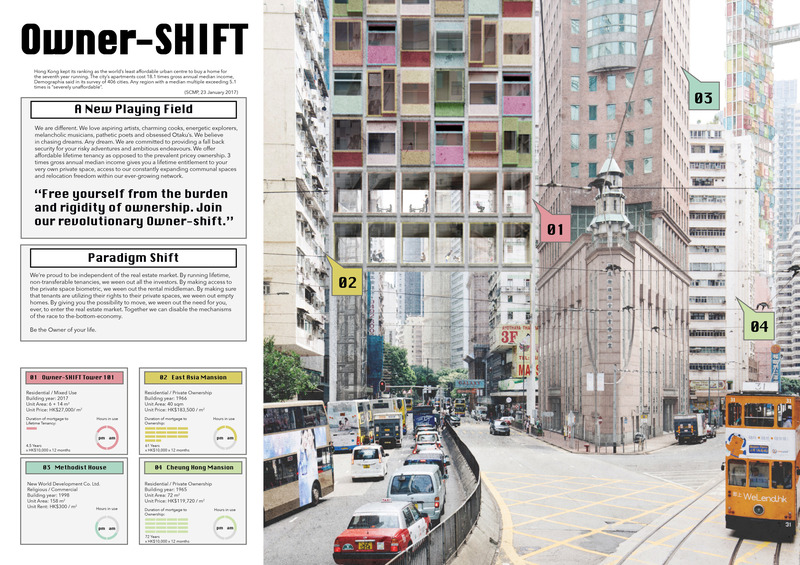 The Hong Kong Pixel Home Competition calls into question the perennial typological challenge of multi-unit housing, prescient in consideration of expanding populations and parallel urban growth. 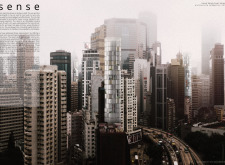 The contemporary urban condition is distressed by housing shortages distinguished by inflationary markets and increased economic disparity. 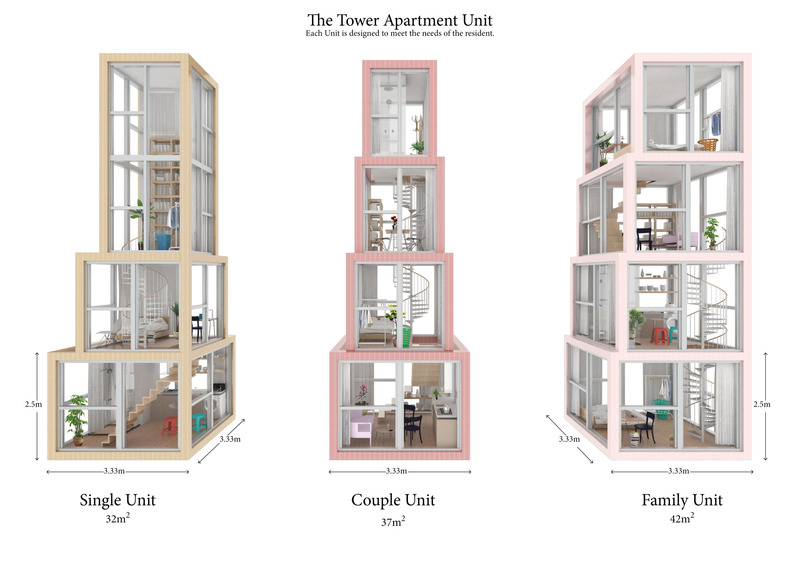 Residents are confronted by an increasingly ballooning compromise between capital and comfort. 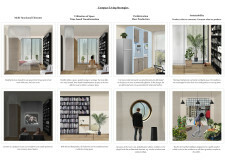 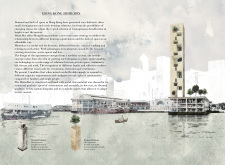 The Hong Kong Pixel Home Competition seeks solutions that would stem this trend through typological disruption, reconsidering entrenched structures and expectations of contemporary housing, with ambition of innovating or reinventing conventional forms of domesticity through the agency of architecture. 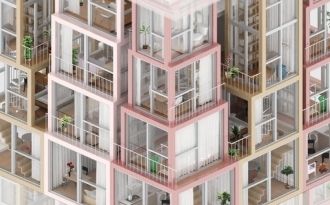 Precedented by the ethic of Metabolism and New Brutalism of the last century, the competition invites anticipation of aggregatory formal, technological, and material strategies predicated on modularity and repetition in pursuit of challenging contemporary forms of urbanity. 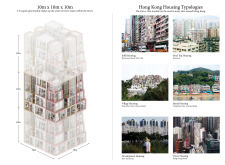 Successful projects explore the consequence of density, amenity, and public and private adjacency, with consideration of novel approaches to domestic propriety, culture, and tradition. 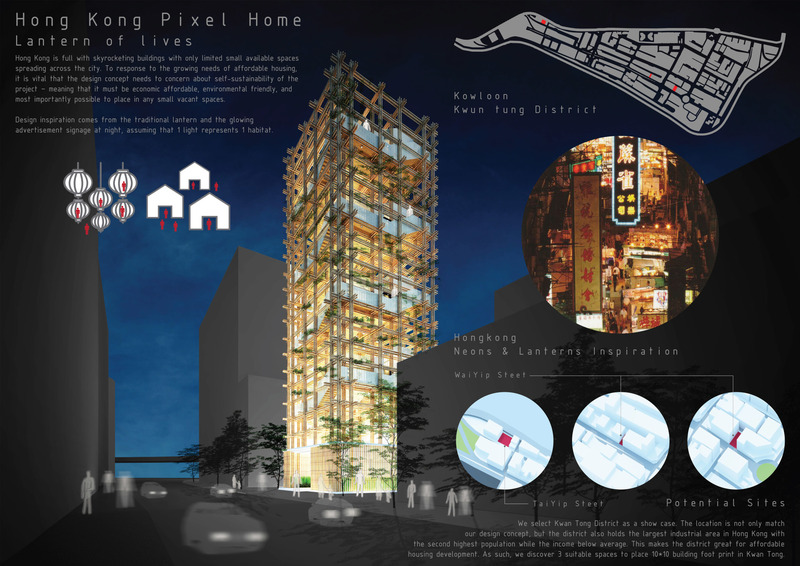 Hong Kong Pixel Homes competition winners revealed! 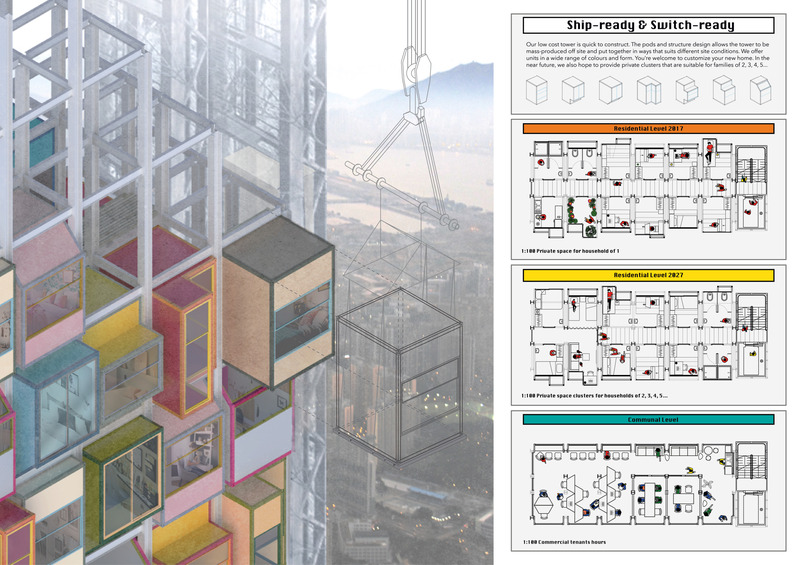 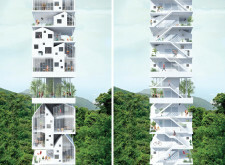 The first place proposal for the Hong Kong Pixel Home radically re-imagines the notion of vertical living, translating from the building scale to the individual unit typology. 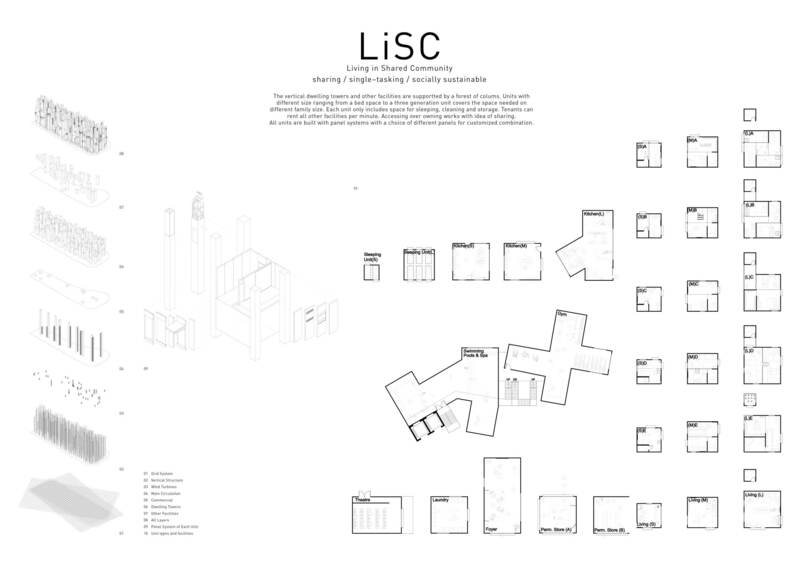 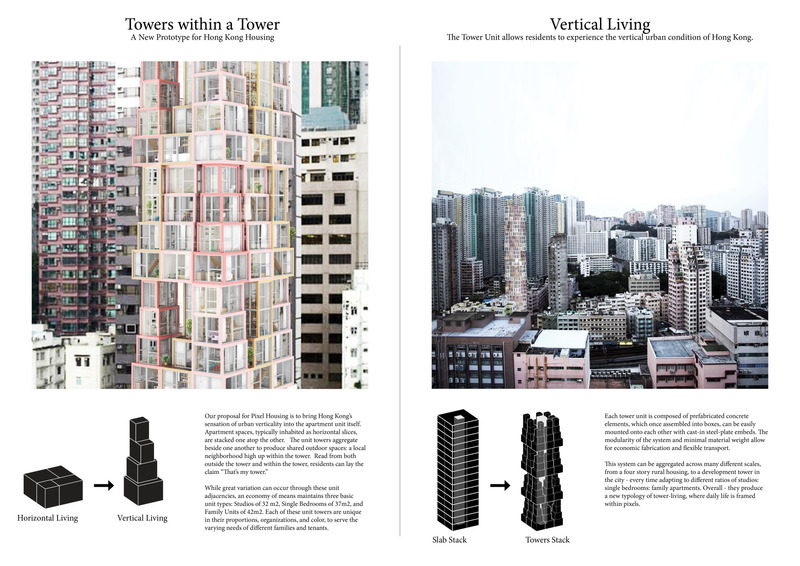 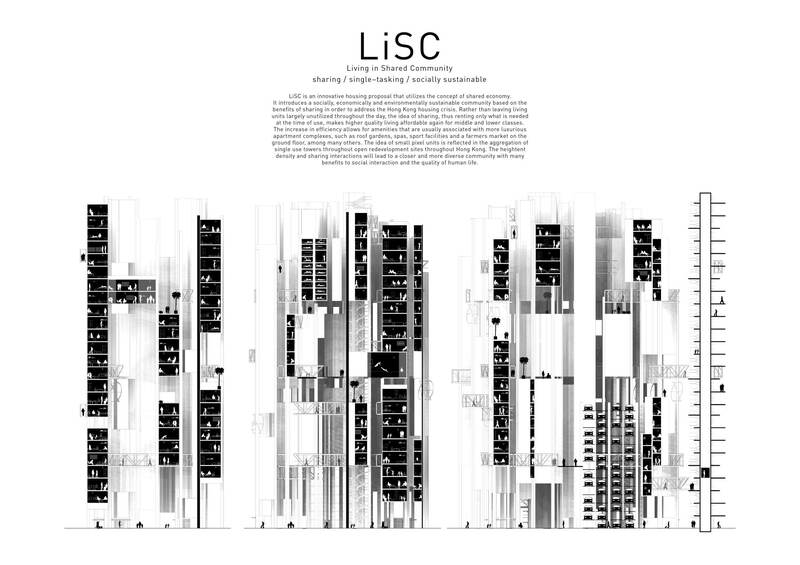 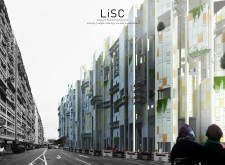 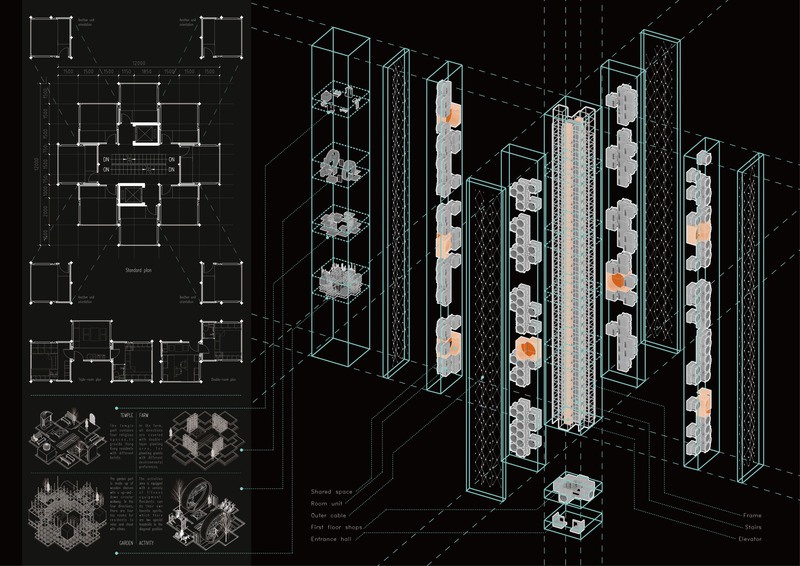 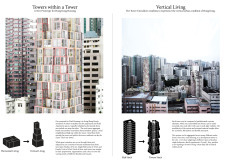 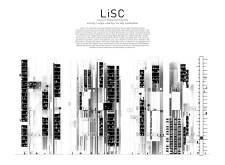 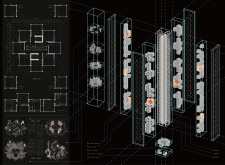 Rather than stack units floor to floor, each unit is layered and aggregated vertically, establishing a repetitive module, for adaptation to various sites in Hong Kong. 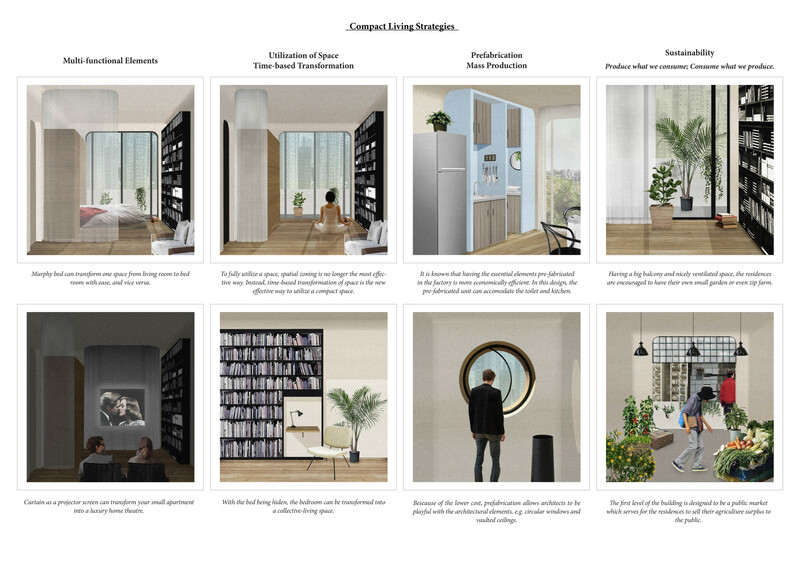 By re-thinking the typical rental unit, the project re-postulates common urban housing, often internalized and tightly clustered per floor, left with little daylighting opportunity or exterior accessibility. 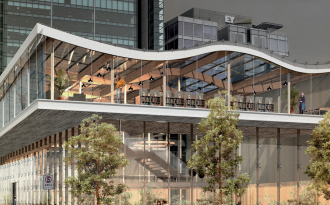 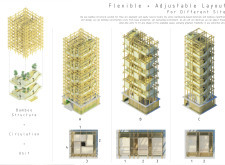 As the unit progresses upward from floor to floor, the building envelope steps to maximize exterior exposure and increase availability of natural light. 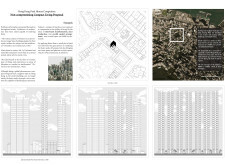 Organized in a nine square grid, the project takes full advantage of the perimeter, locating the public circulation at the core. 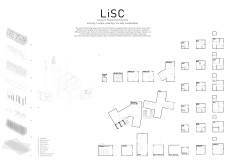 Once aggregated, the receding volumes thread together varied perforations of outdoor space, providing both circulation and courtyard. 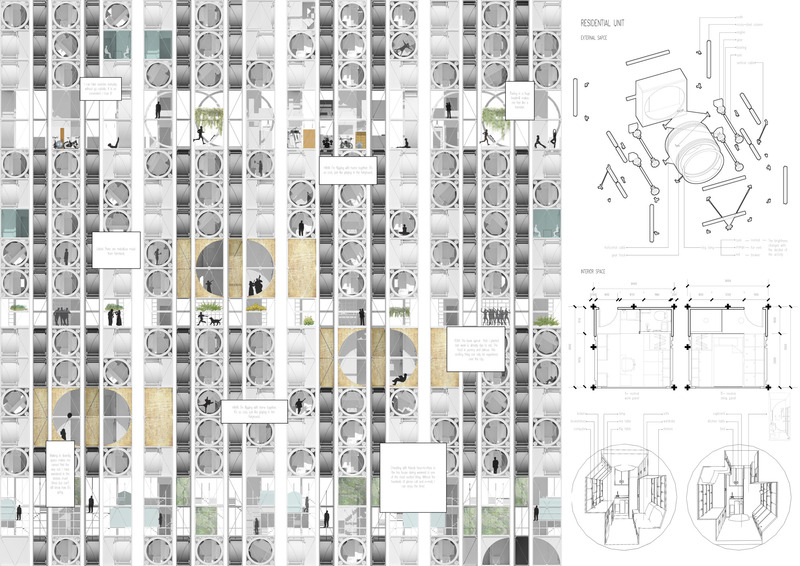 The woven circulation offers opportunity for the chance encounter and shared narrative, re-imagining the idea of the street and neighborhood. 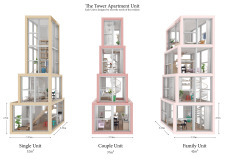 The vertical stacking of individual units develops a new tower paradigm, taking advantage of amenities more commonly provided in the sprawling expanse of single family neighborhoods, while engaging the end user in direct dialogue with the scale of the city. 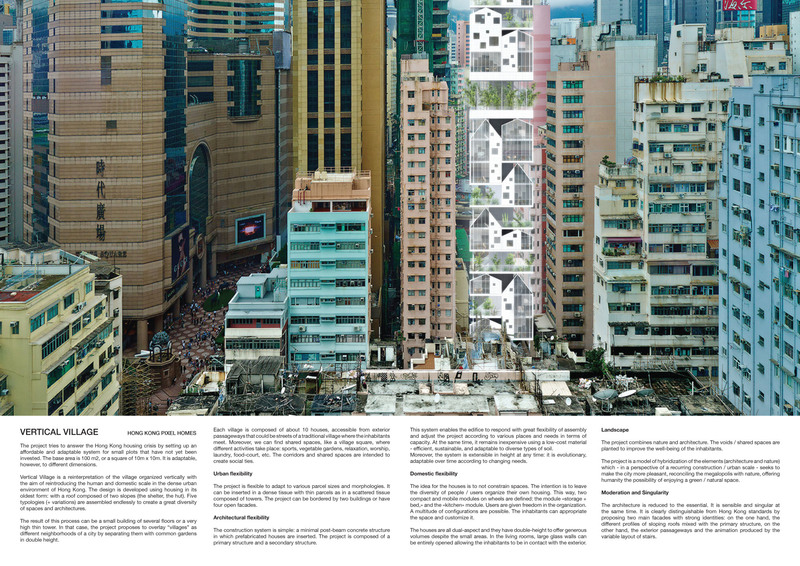 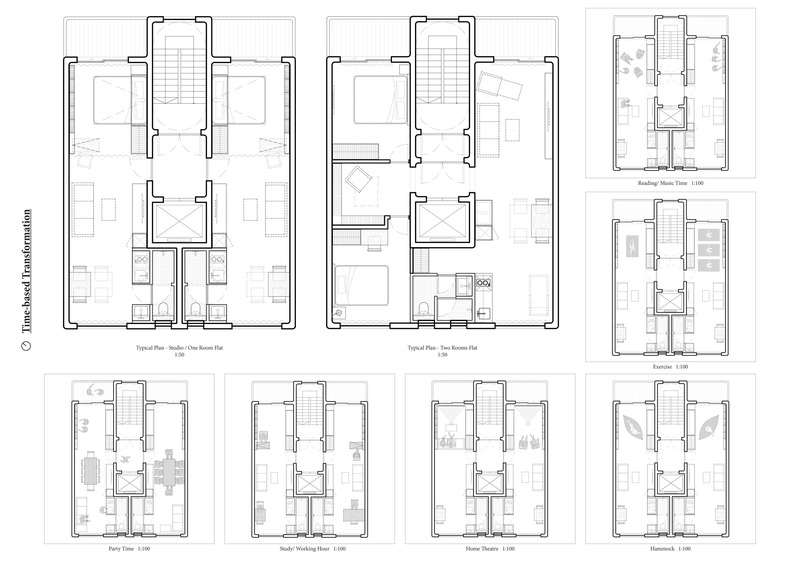 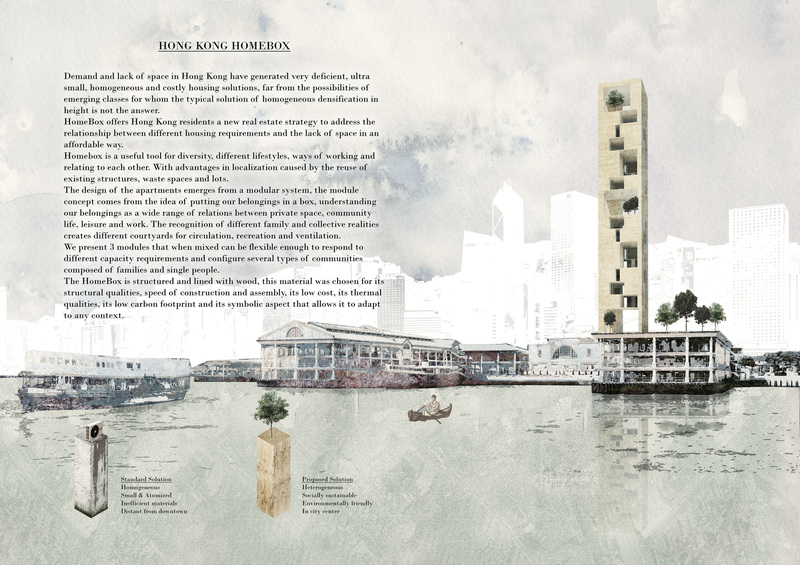 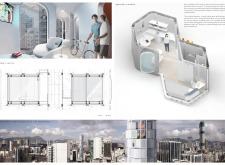 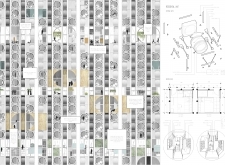 The second place proposal for the Hong Kong Pixel Home was chosen for its reformulation of a domestic typology as a solution for the housing crisis in Hong Kong. 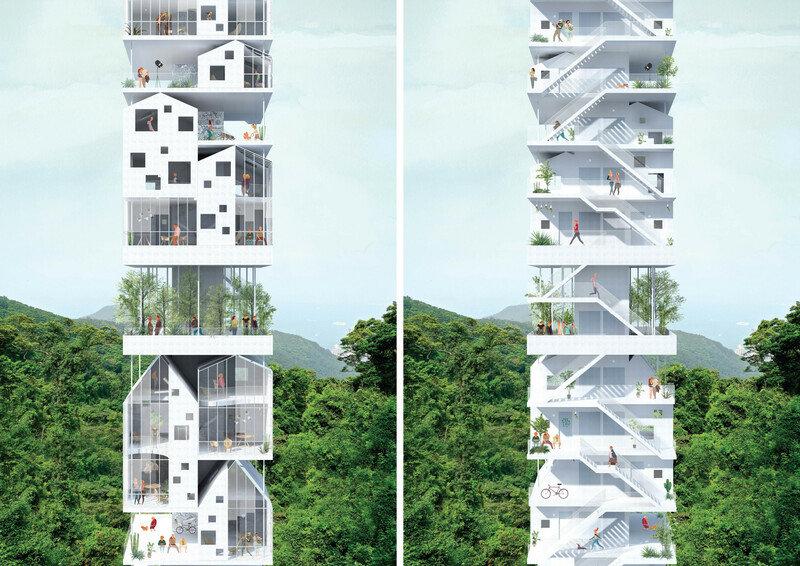 Composed of a 100 square meter prefabricated housing units, the aggregation of modules creates a vertical village that rethinks domestic space at the scale of the city. 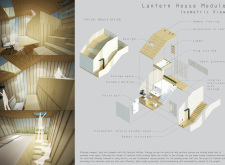 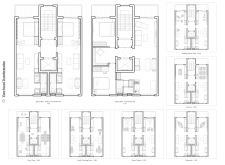 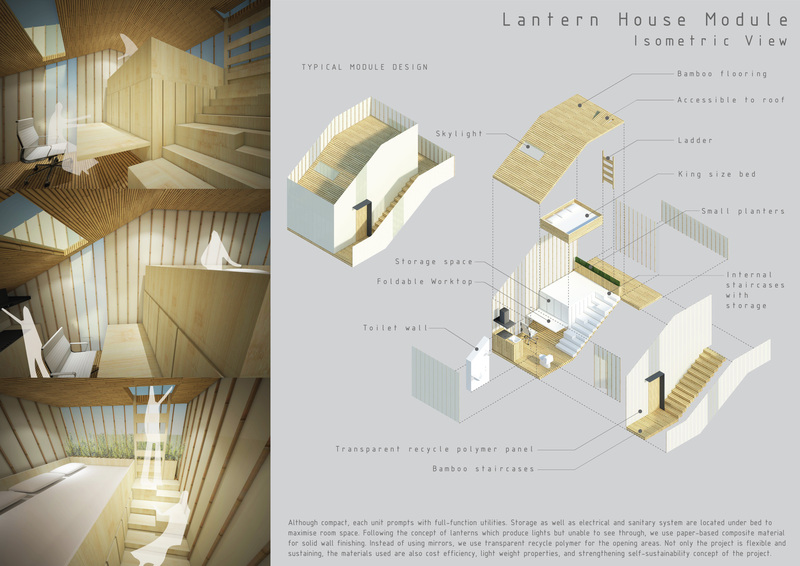 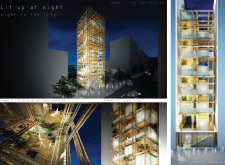 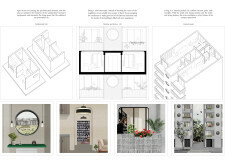 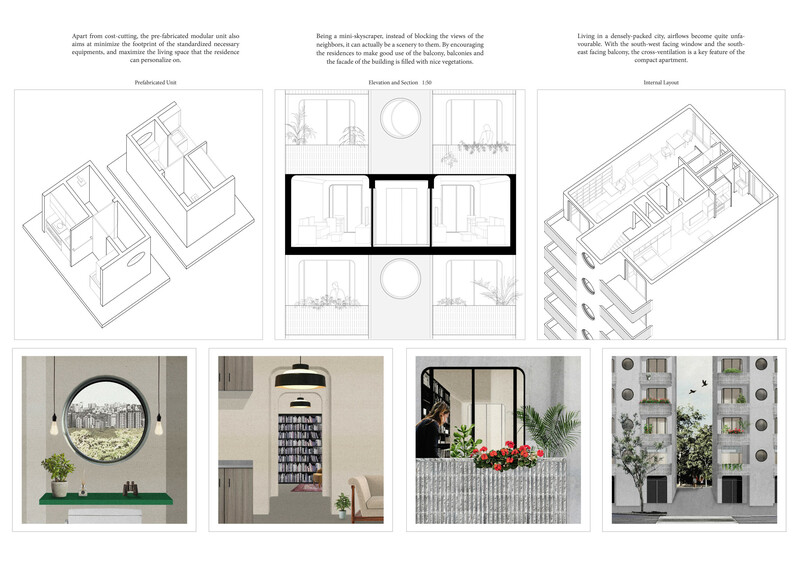 Through the use of the vernacular form of the home - the gable - the sectional variation of each housing module produces a rich spatial variety amongst the units - creating terraces, pocket gardens, and lofts each with a unique lighting condition. 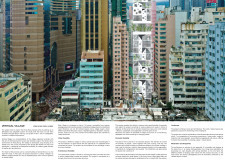 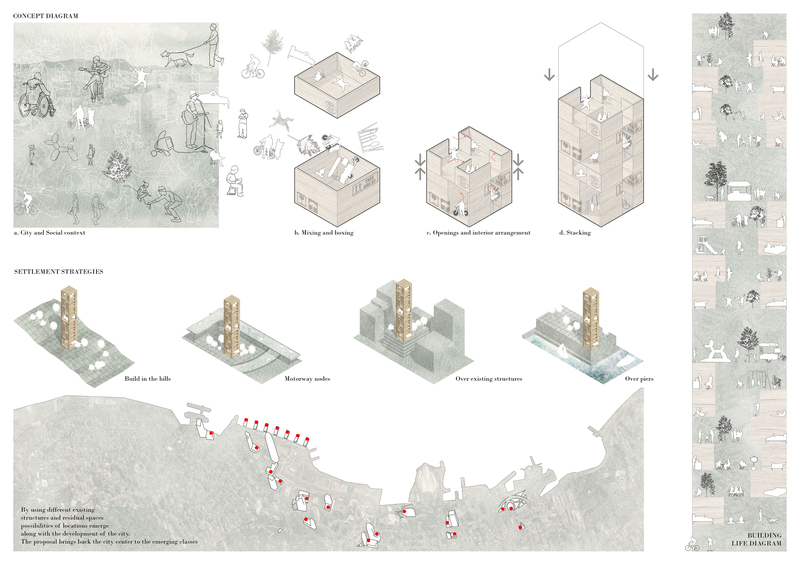 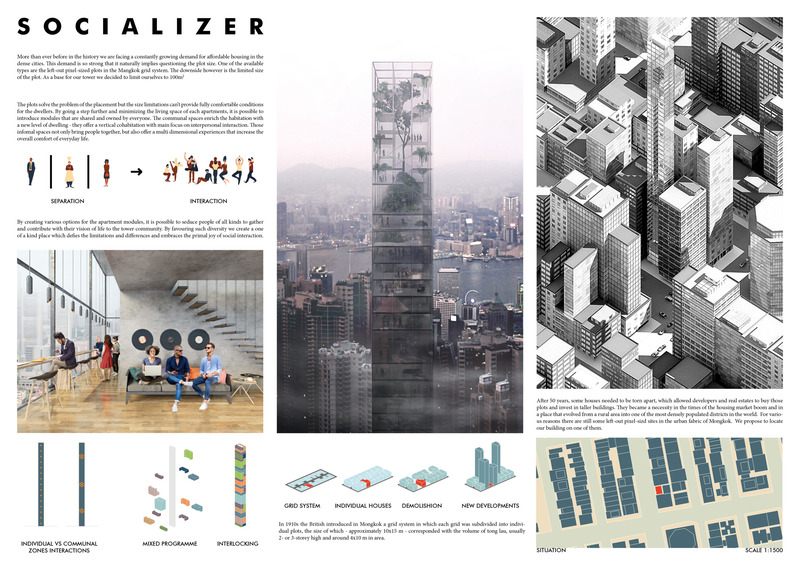 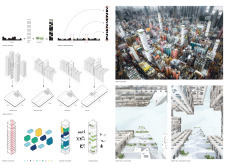 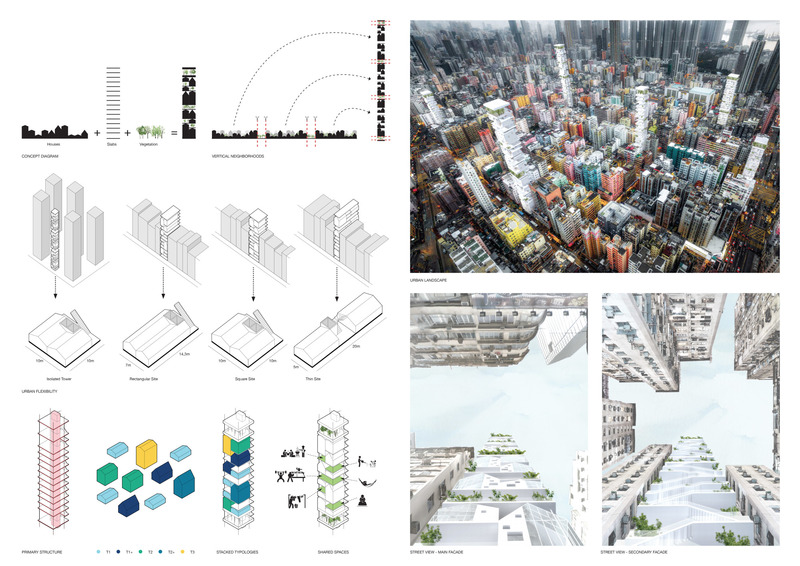 The proposal seeks to reclaim the scale of the city by inserting these vertical neighborhoods into the fabric of Hong Kong, interconnected by exterior passageways, shared spaces, and common gardens for collective activities such as worship, markets, and leisure. 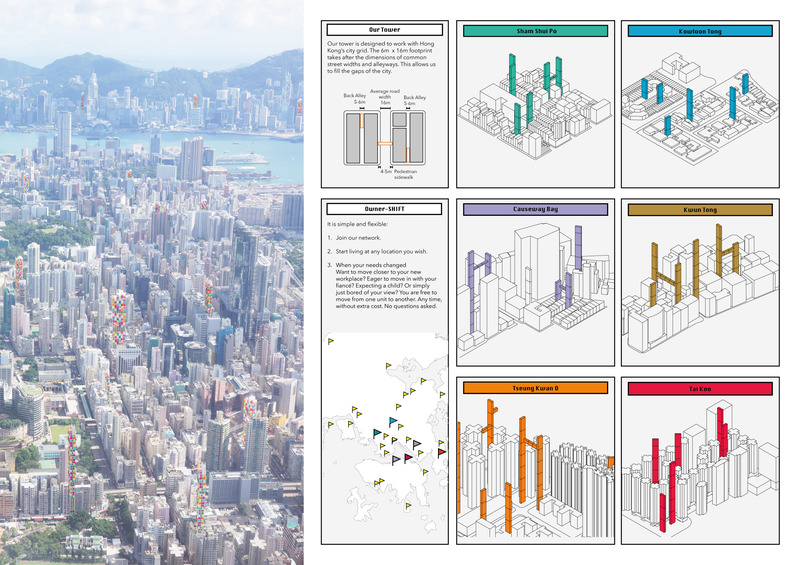 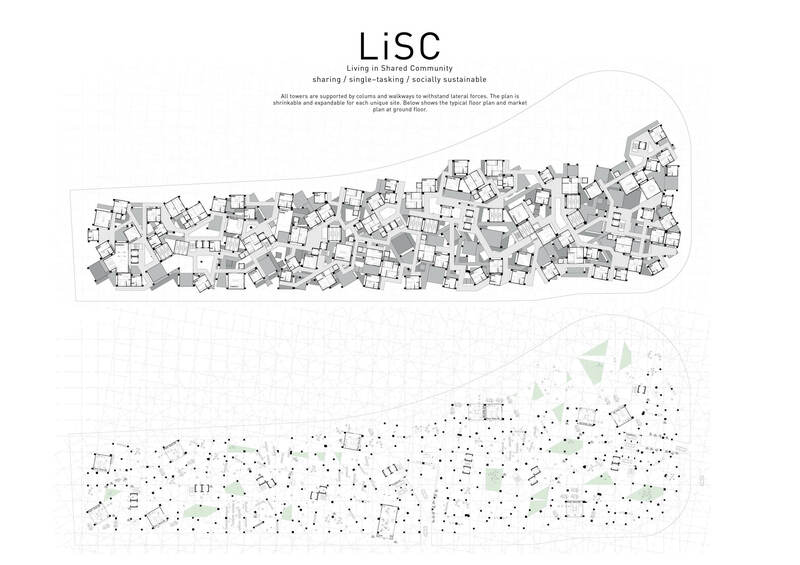 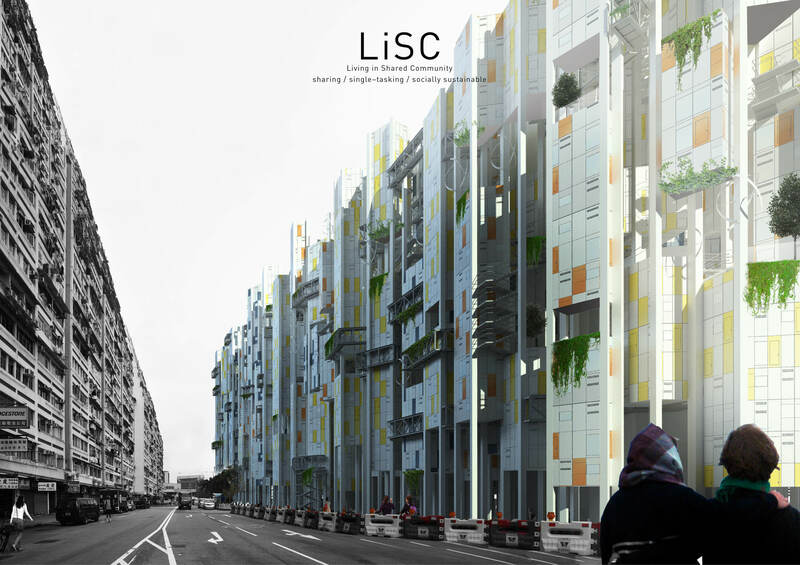 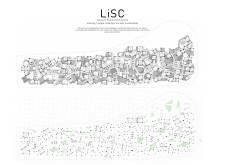 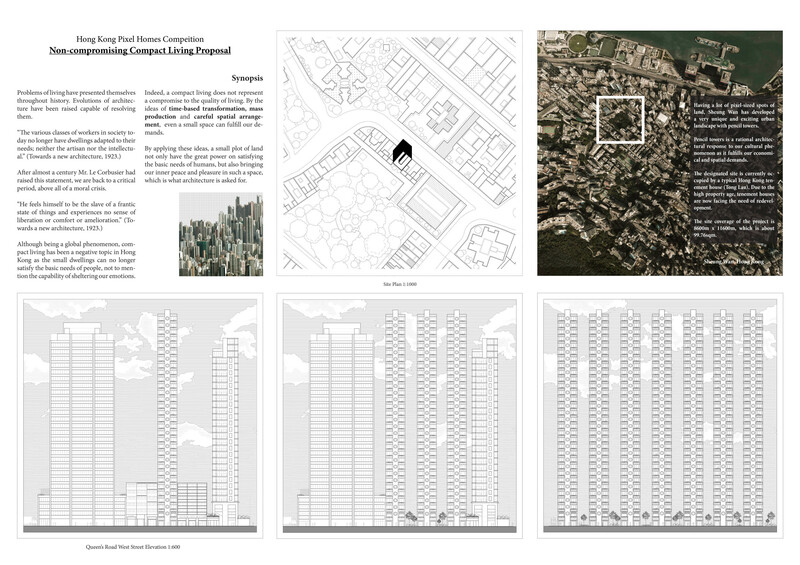 The robust morphology allows the project to adapt to the various sites, scales, and densities of Hong Kong. 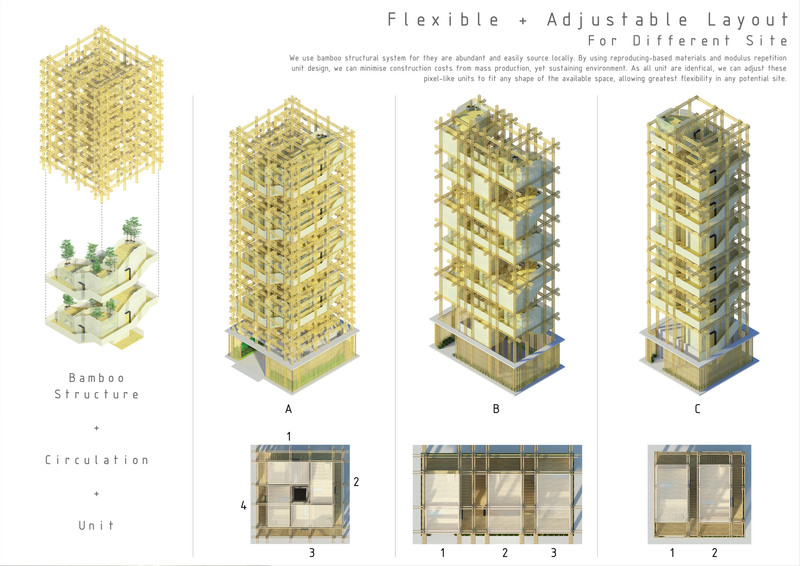 The simplified post-and-beam construction with prefabricated housing units inserted into the structural armature creates a low-cost and flexible system of construction. 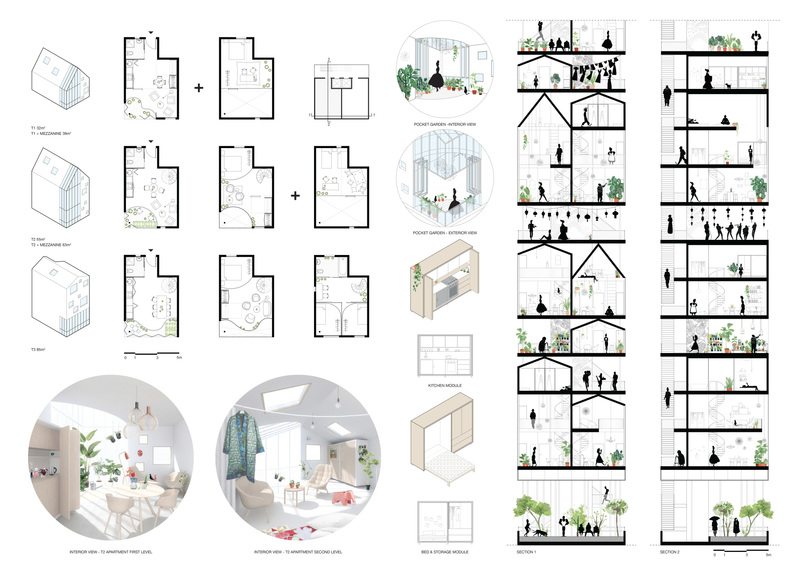 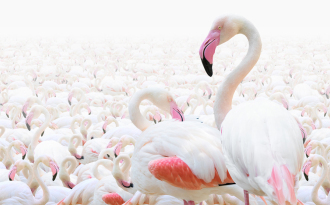 Paradoxically, although the units appear to be homes, their internal morphology radically alters typical domestic space from a series of rooms into an adaptable set of flexible functions and zones. 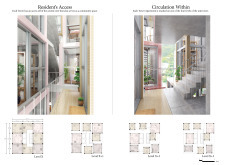 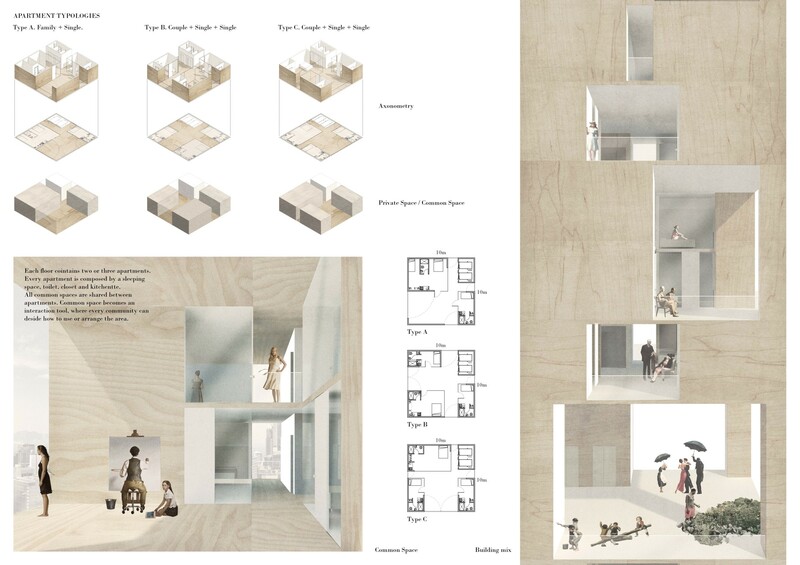 The inhabitants can reappropriate and change the use of each space, enabled by the generosity of the layouts. 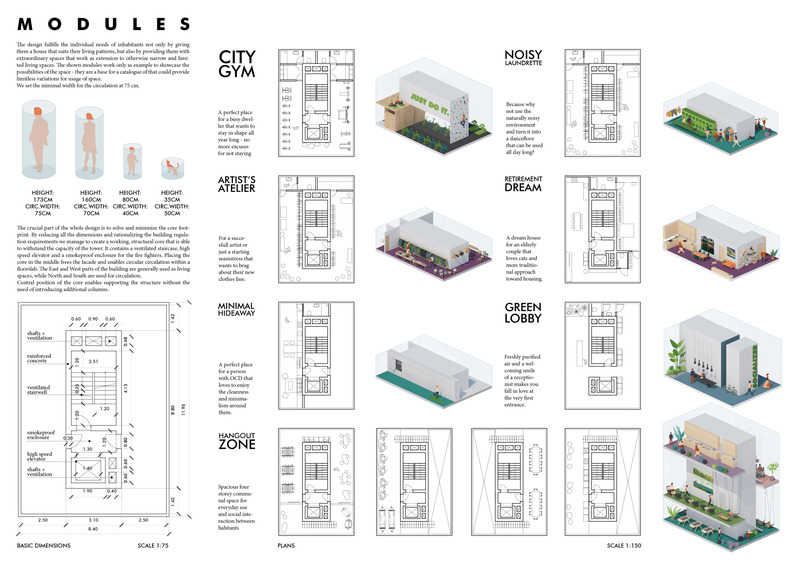 The spaces between each prefabricated unit allows for light into the spaces and offer an opportunity for vegetation to occupy these interstitial voids. 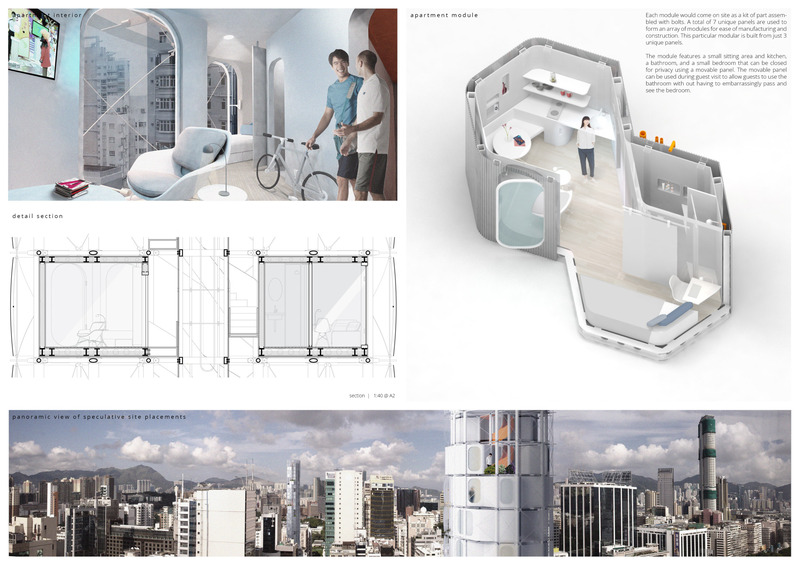 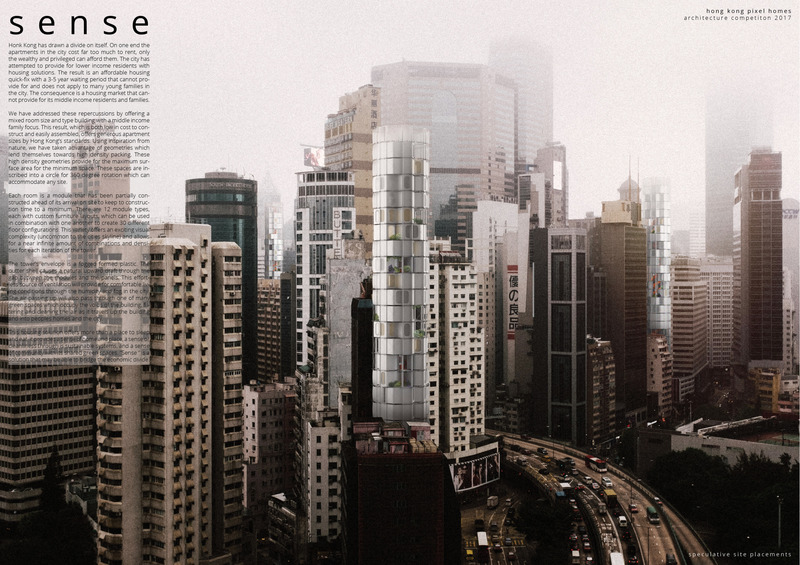 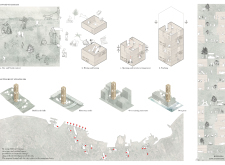 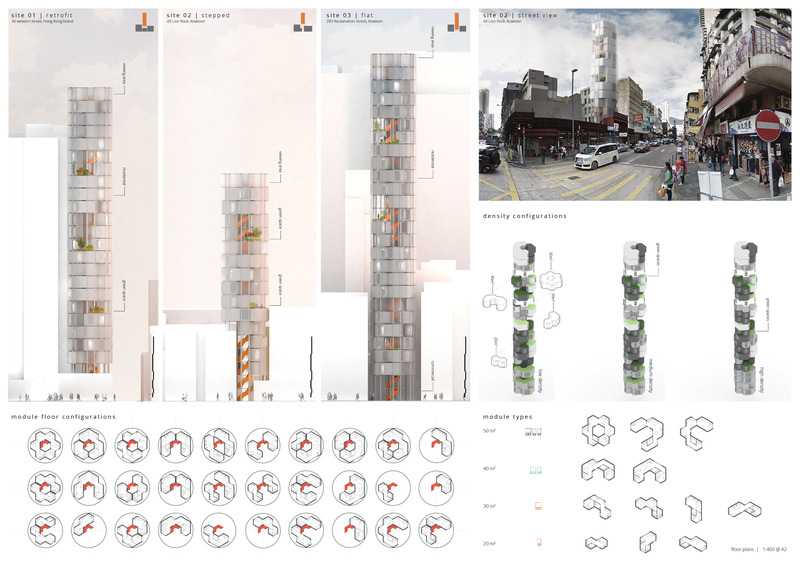 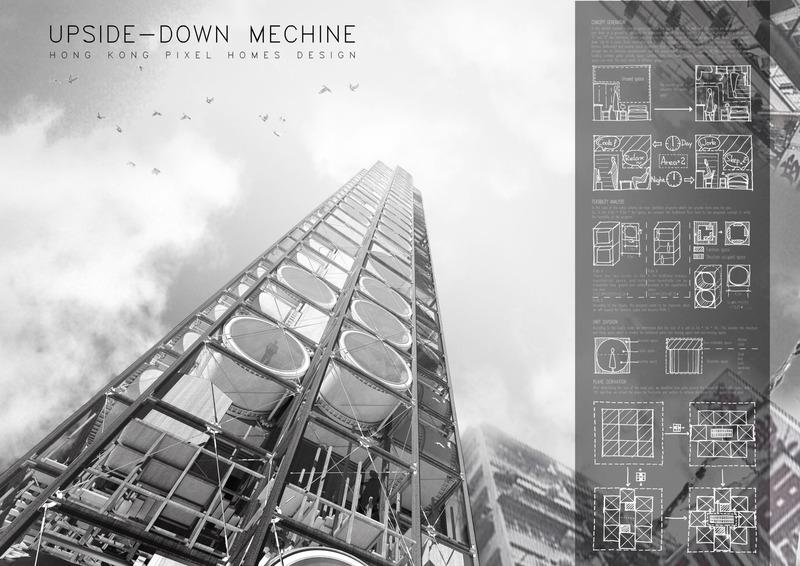 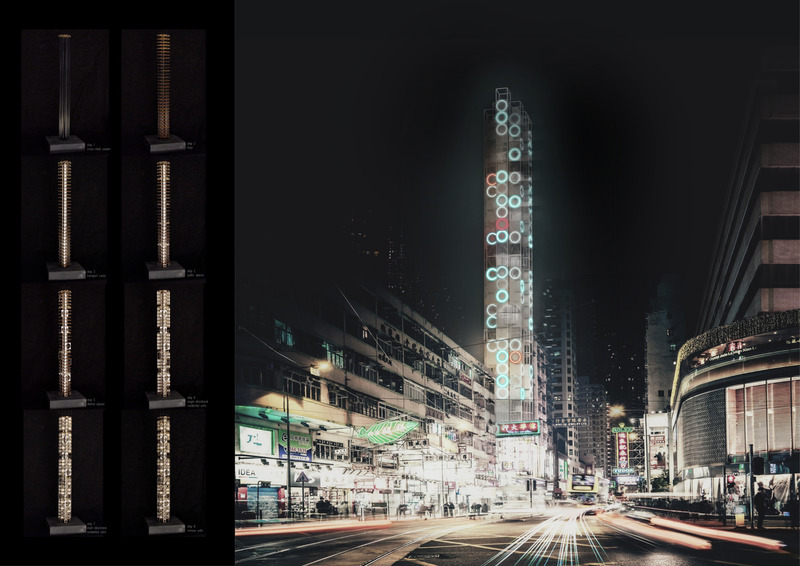 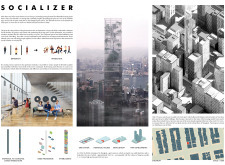 The third place proposal for the Pixel Homes competition resuscitates the legacy of the Metabolist capsule tower, reimagining the micro-unit dwelling as a mechanized zone of spatial modification and efficiency while producing a marketable icon for the skyline of Hong Kong. 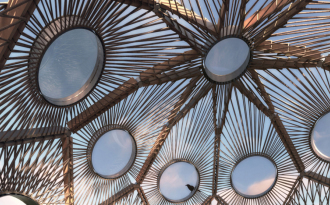 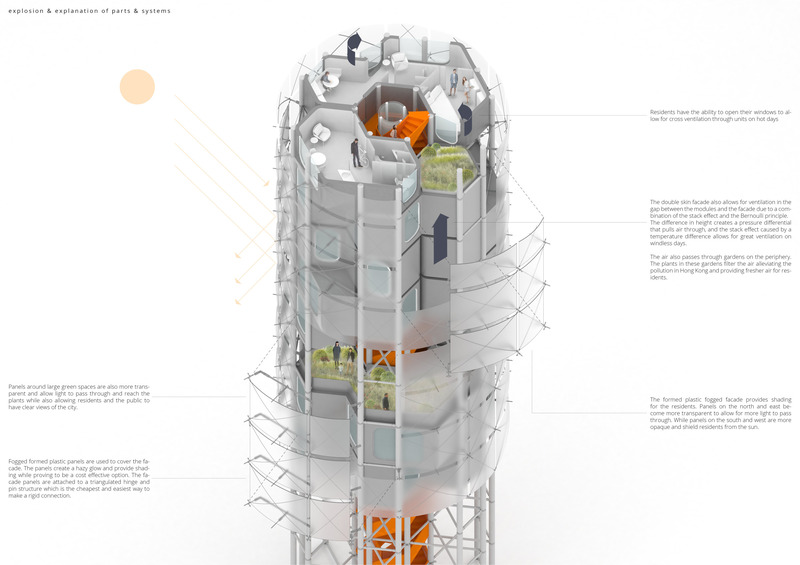 The dwelling space occupies cylindrical drums set into a rigid structural frame, stackable and deployable in multiple height configurations. 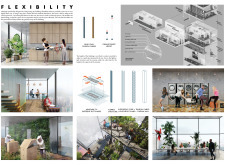 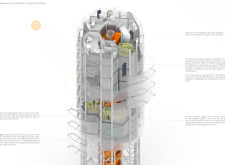 Through the mechanical rotation of the dwelling cylinder, the topology of the unit deprioritizes the ground as the space of primacy, allowing the tenant to gain access to different programmatic functions deployed on both the ground and ceiling. 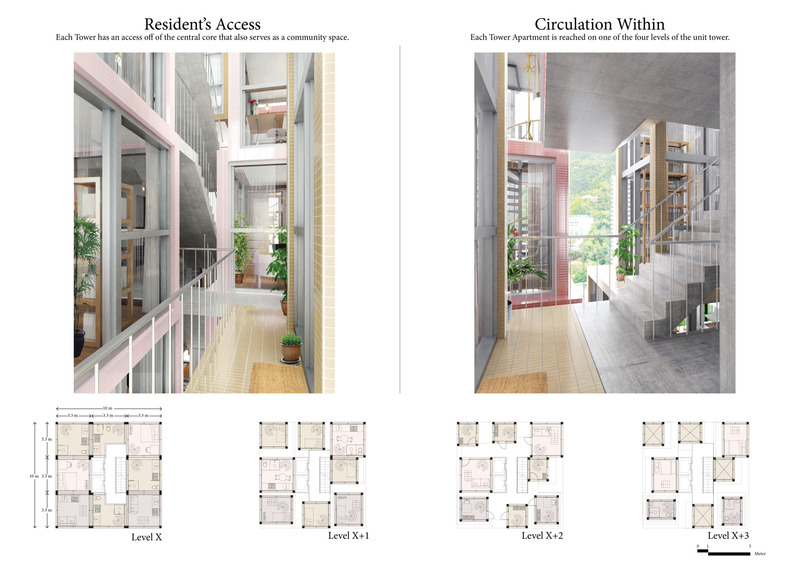 Circulation and bathroom facilities maintain a fixed position in the core, while the machinic dwelling space is constantly mutable, rhythmically rotating, and contorting to fit the needs of the body. 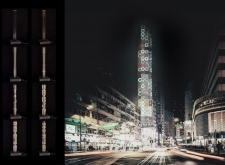 The inhabitant views the city through the porthole of each cylinder while the city observes the inhabitant by means of a ring of neon illumination around the cylinder’s edge: a lurid beacon of color-coded activity within. 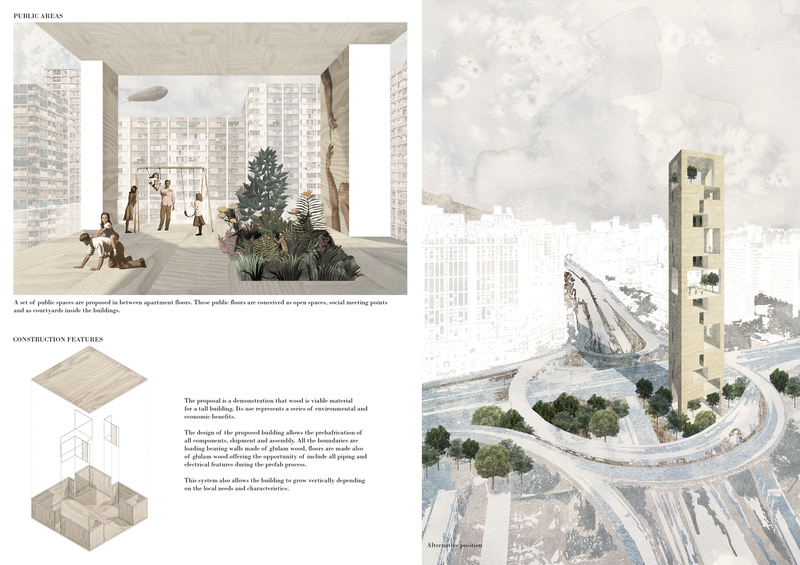 The ultimate success of the proposal is its embedded critique of the dystopian future of the technological solution to the crisis of housing in the urban environment. 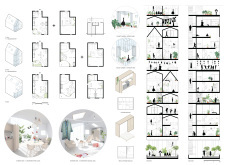 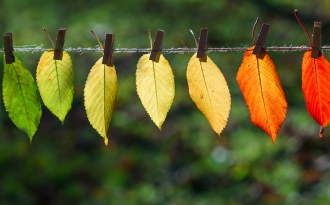 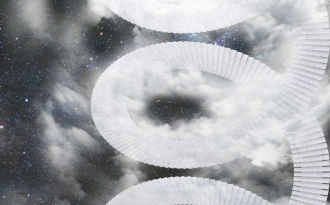 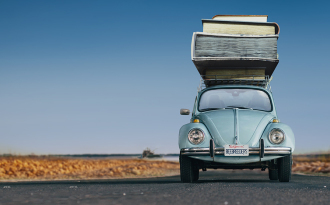 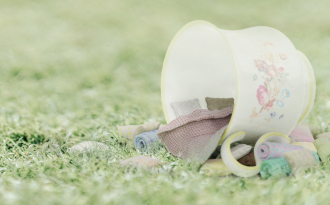 The project offers less of a solution than an exacerbation of the already problematic tendencies of our urban domestic culture: the impossibility of privacy through digital media in an ever-shrinking dwelling footprint. 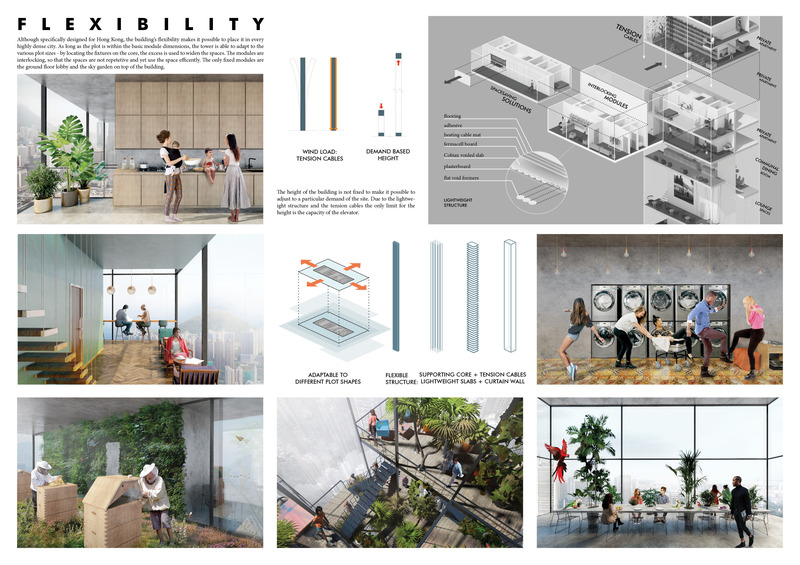 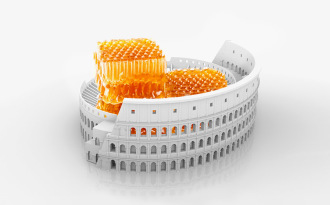 The optimism of the proposal, however, relies on the idea that this existence has the potential to be fun, if we find comfort in relaying the activity of the private domestic sphere in a theater of spectacle for the public realm.